Runnerguy2489 showed us already during AGDQ 2015 that he’s no stranger to The Legend of Zelda: Ocarina of Time by playing the first three dungeons with a blindfold on. Now he completed the entire game, Water Temple included, with the same method. 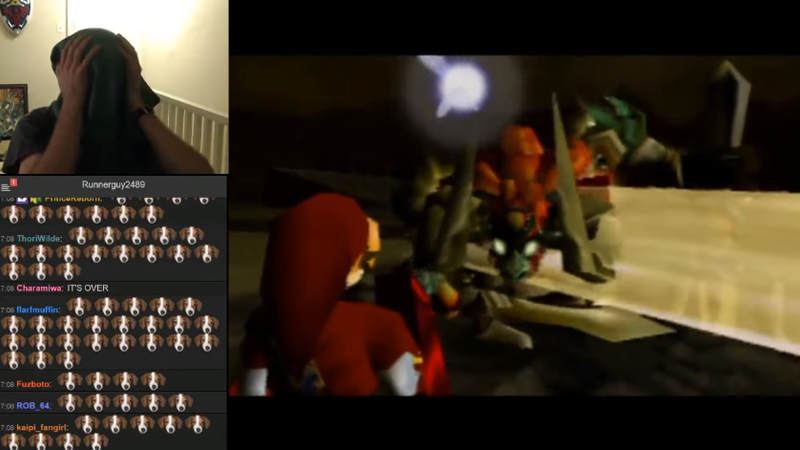 It took him around 103 hours to beat it, but even watching the ending of the final part below, with everyone in the chat getting hyped as Ganon falls, looks super-fun. And it’s pretty amazing. Memorizing everything wouldn’t be enough to go through the game without looking. You also need to know certain glitches and how they work and make use of all the sound effects within the game. It’s a well-docuemented run with some additional charts over here (via lonniganseaweed).